Life in the 1930s seems to have been pretty glum. Perhaps the Depression influenced building styles. 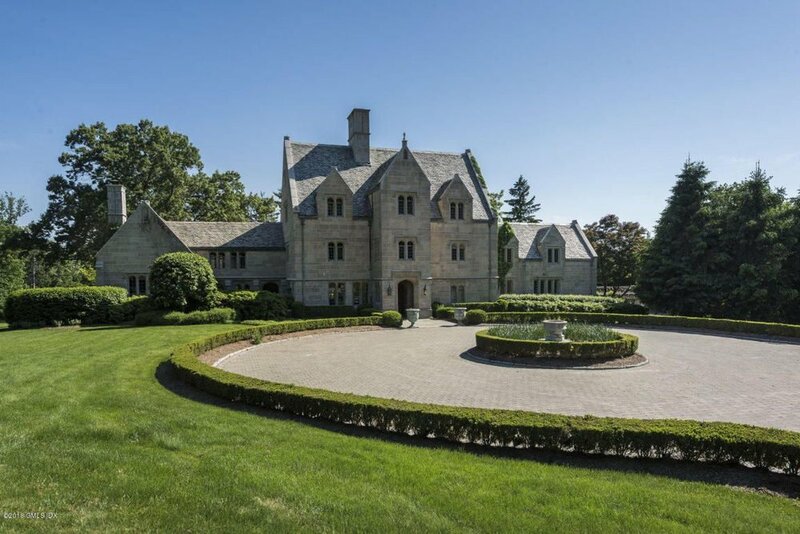 15 Reynwood Manor (North Street, really, but with a fancy address), didn’t sell at $8.9 million from May, 2017 through its listing expiration in November. The owners switched agents and selected Tamar Lurie to represent them. She returned the house to the market at $9.250 million, a funny thing to do, raising the price when a house won’t sell, but Tamar’s always had a wicked sense of humor. Today the price was dropped to $8.995, still $95,000 higher than the failed price of 2017. Tamar’s such card! As an aside, if their’s a colder, cheerless house in Greenwicb, I haven’t seen it.